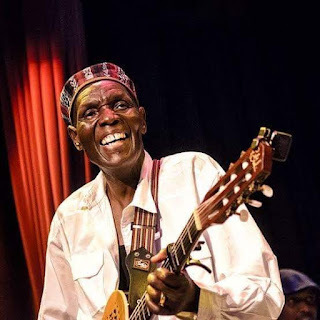 ARTISTES have commended Government for granting Dr Oliver ‘Tuku’ Mtukudzi the national hero status saying the legendary musician deserves the honour. President Mnangagwa said on Thursday that the Zanu-PF Politburo had unanimously agreed that Tuku be given the highest honour. Afro Jazz musician Jeys Marabini said the ruling party by declaring Tuku a national hero had not only honoured Tuku but the Zimbabwean music industry as well. “I was very happy because Government has demonstrated that it appreciates our contributions as musicians. The message to Africa and the whole world is that Zimbabwe recognises the work done by its citizens including artistes such as the late Dr Mtukudzi,” said Jeys. Rhumba musician Madlela Skhobokhobo said Tuku was the best musician from Zimbabwe and therefore deserved to be declared a national hero. “Mtukudzi deserves the honour and we are happy that Government is not only recognising the contributions of politicians but other citizens such as Mtukudzi who have raised the Zimbabwean flag high through their works,” said Madlela. Imbube songstress Nkwali said Tuku was a man of the people and was therefore not surprised when he was declared a national hero. “What I noticed about Tuku is that he remained humble despite his fame,” said Nkwali. South African based dancehall artiste Buffalo Souljah described Tuku as a Gamba (hero). “IGamba redu (he is our hero) becuse he helped some of us to be where we are now. That’s why I call him father of Zimbabwean musicians,” said Buffalo Souljah. Kwaito outfit Stiff front man Diliza said Tuku deserved the national hero status given his works which raised the Zimbabwean flag regionally and internationally. Artists in Kwekwe hailed President Mnangagwa and Government for declaring Tuku a national hero. Peter Moyo, son of the late Tongai “Dhewa” Moyo who was identified and nurtured by Tuku, said he was at a loss of words following Zanu-PF’s decision to grant Samanyanga hero status. “I am at a loss of words because for me to be where I am today it is because of him. My father was very popular but it was all because of the humble Mtukudzi who nurtured him. I commend the Government for according him national hero status,” said the Young Igwe. Tawanda Jumbo alias Bantuman I, said he was happy because Government was recognising artists’ works in building the nation. “Mtukudzi used to come to our studio, Bantuman Studios to give us notes on how to improve our music. He was a father figure to us. Government, I want to believe, now realises how much the art and culture industry is contributing to the growth of the economy,” said Bantuman I.
Terry Bliss, who also was Tuku’s apprentice after he left Bob Nyabinde, said Tuku’s death came as a shock. “I am yet to come to terms with his death. I was actually planning to work on a collaboration with him but God did not allow that to happen. I am in the studio as we speak, working on a track dedicated to Mdhara Tuku. I say Rest in Peace to him,” he said.